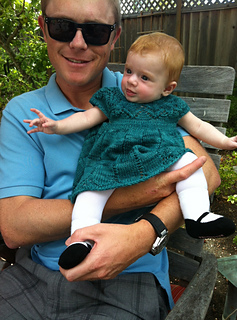 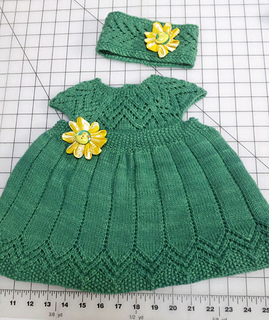 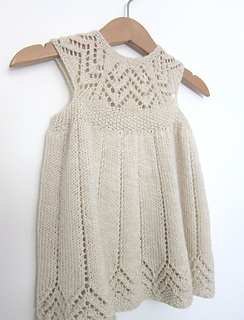 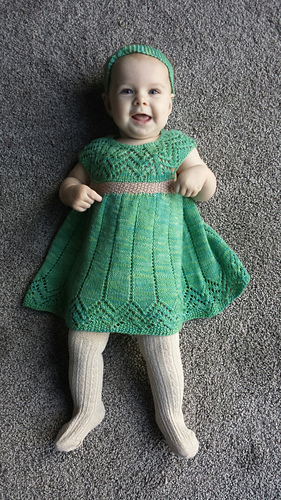 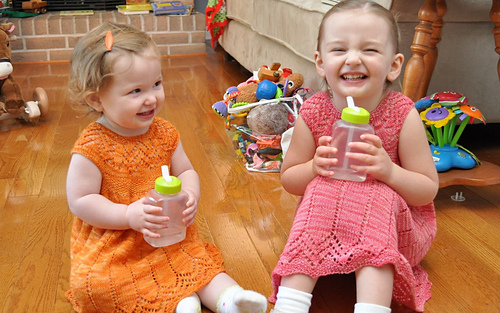 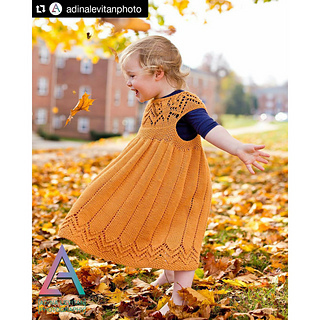 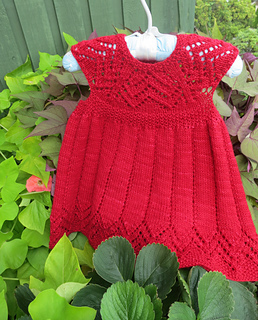 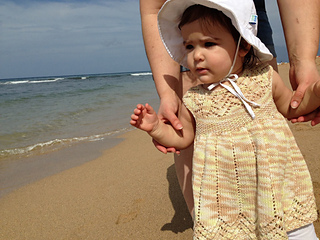 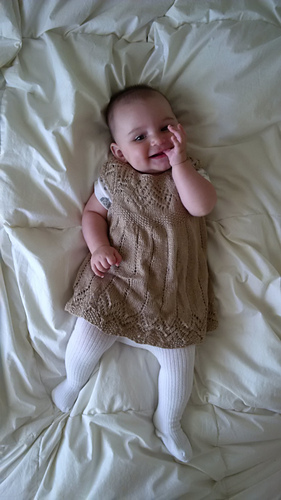 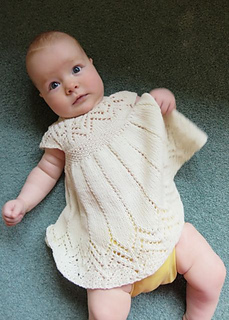 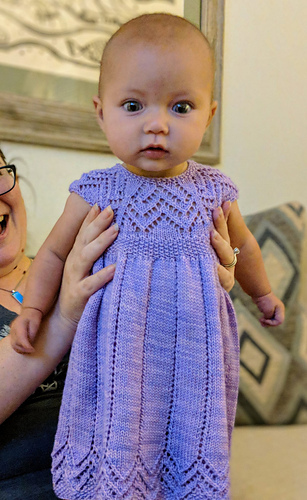 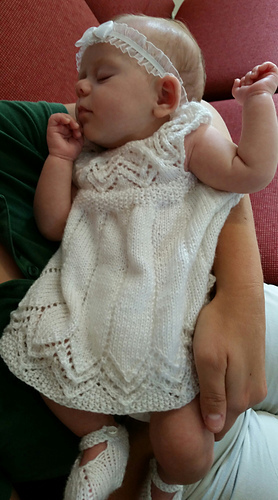 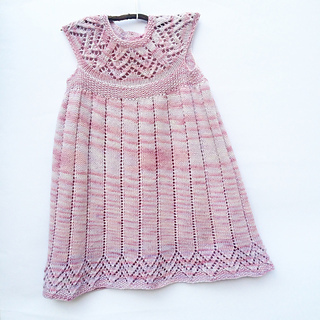 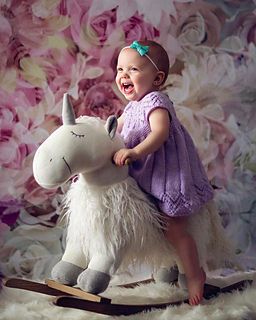 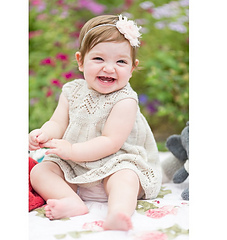 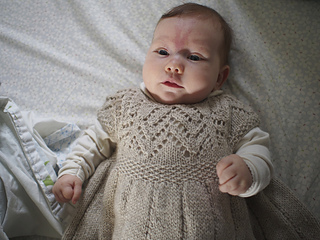 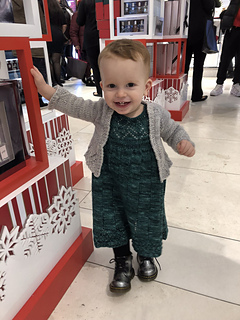 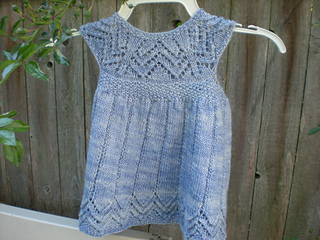 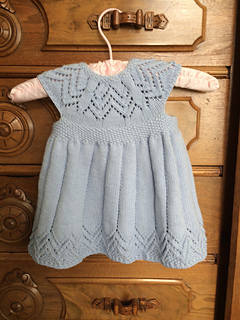 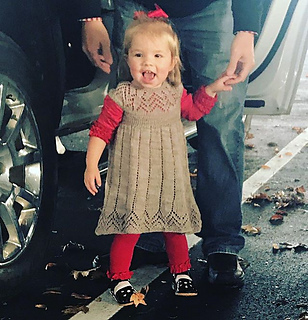 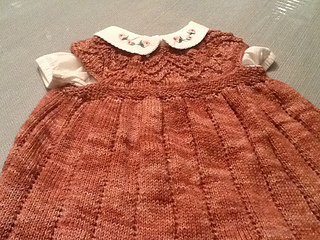 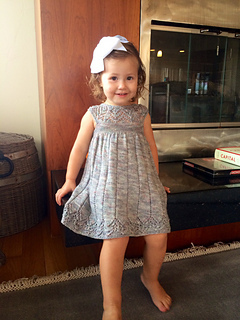 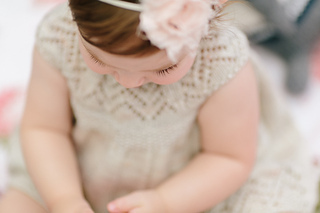 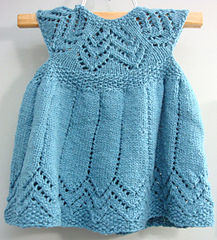 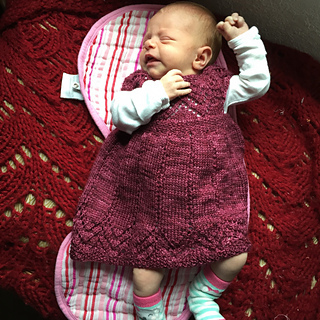 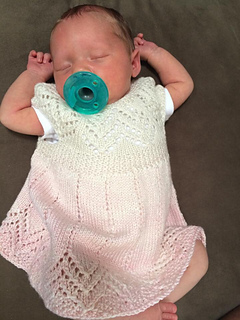 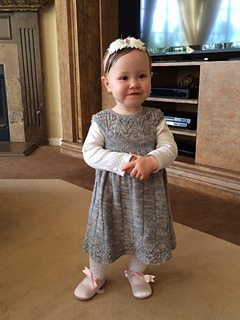 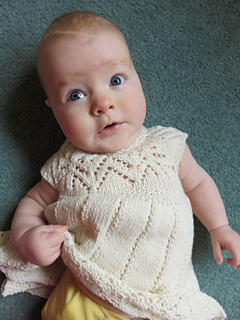 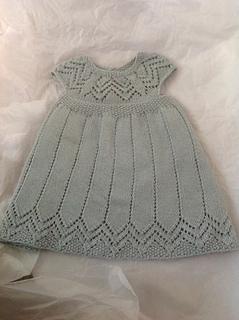 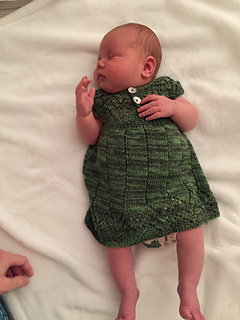 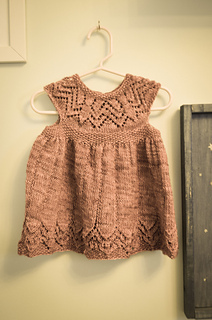 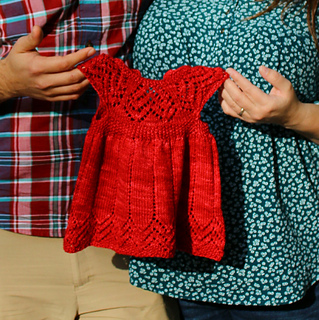 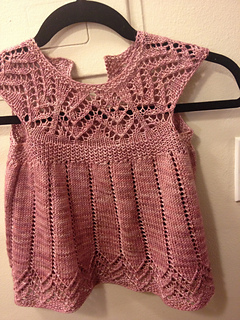 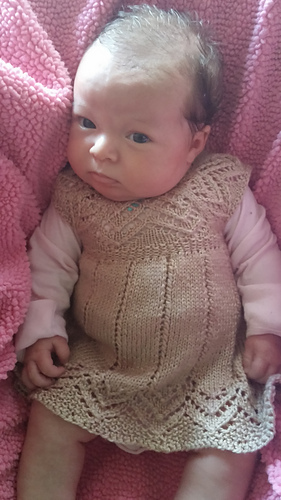 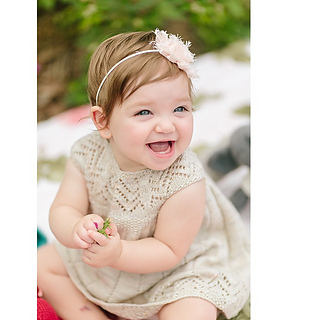 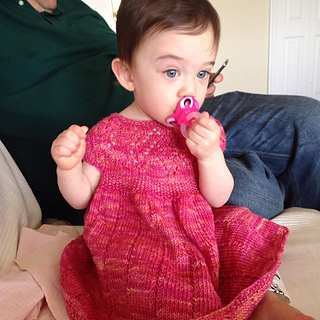 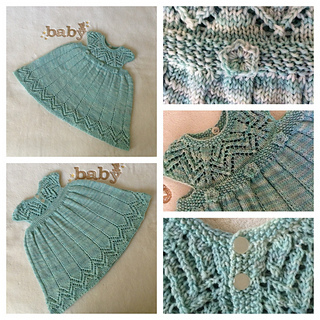 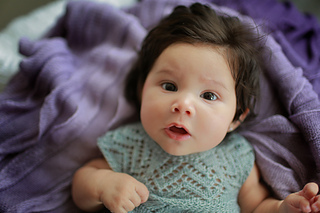 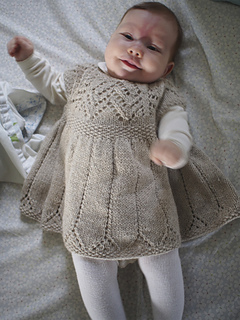 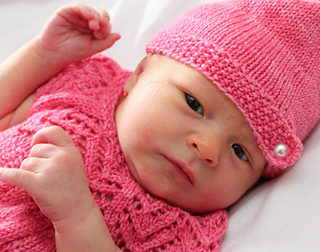 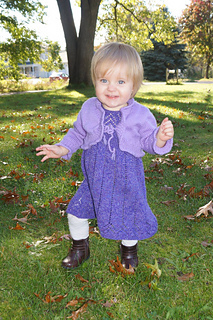 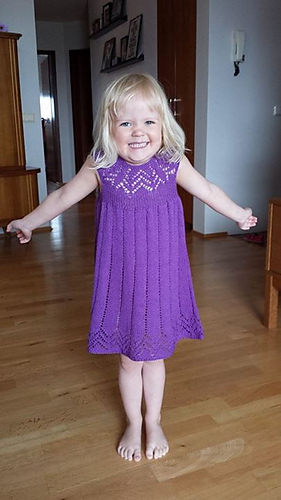 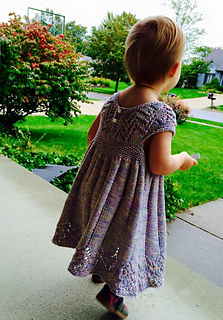 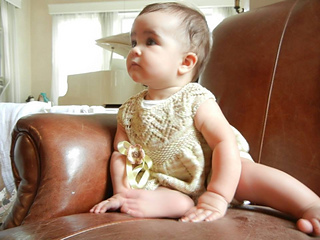 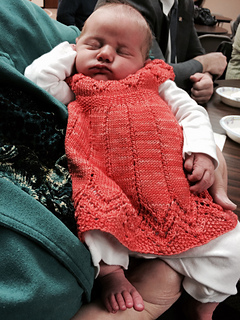 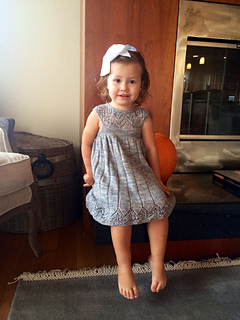 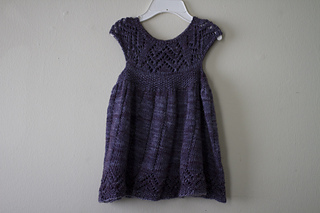 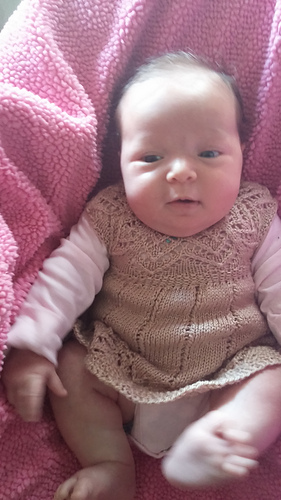 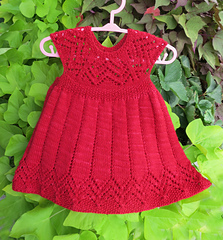 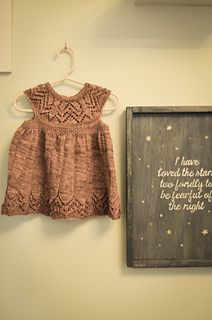 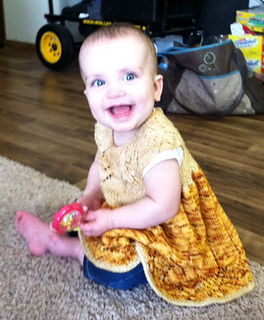 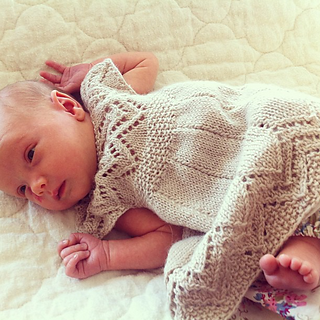 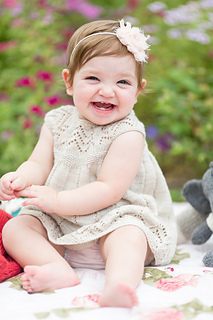 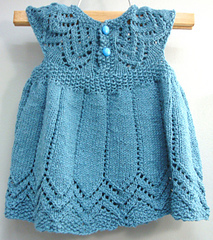 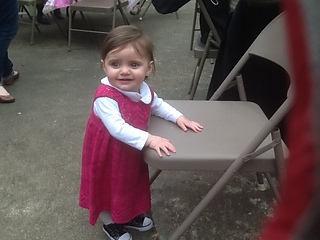 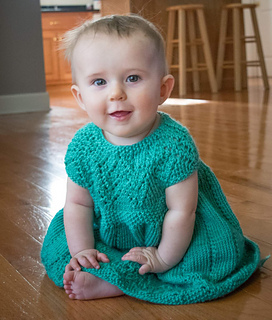 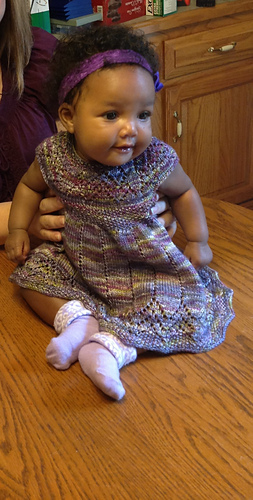 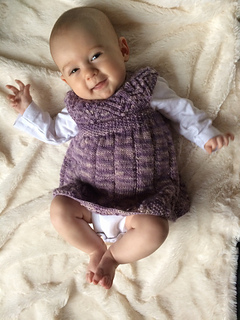 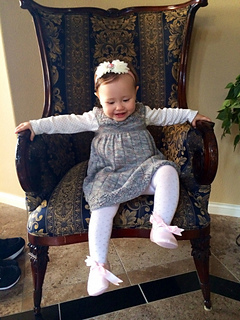 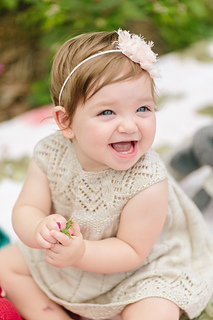 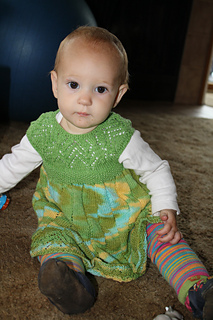 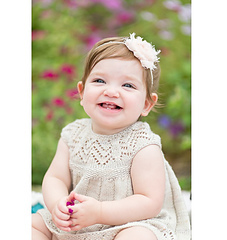 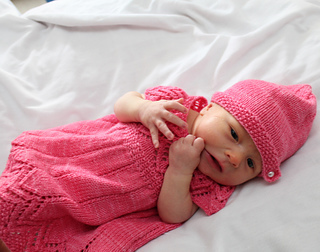 As your baby grows, this will grow from a dress to a tunic. 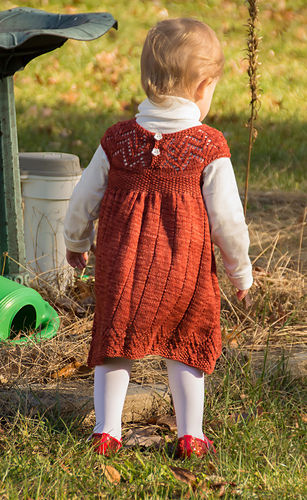 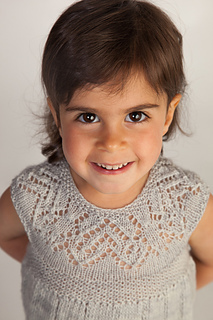 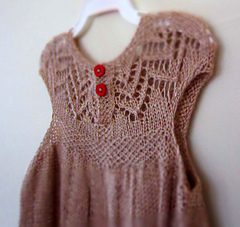 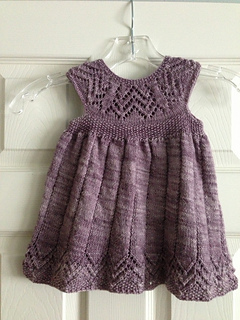 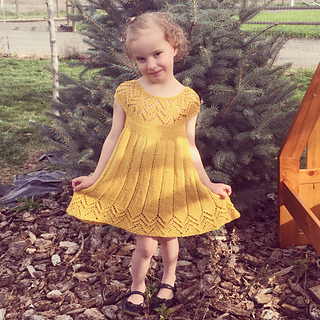 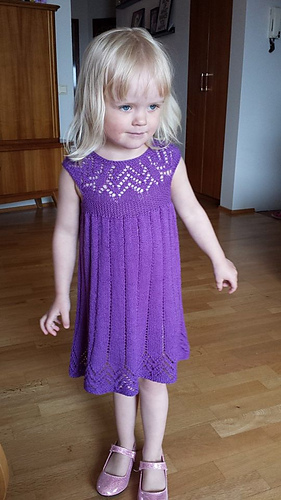 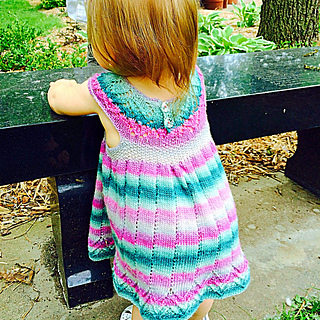 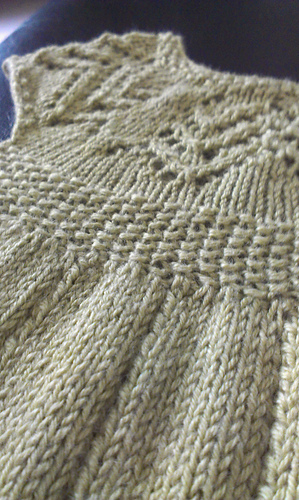 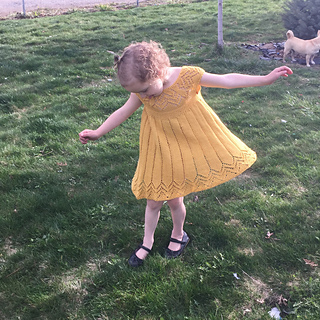 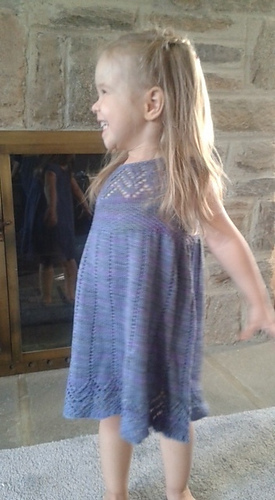 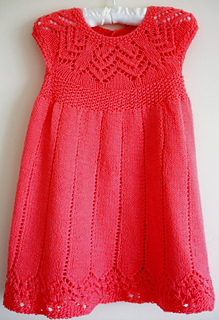 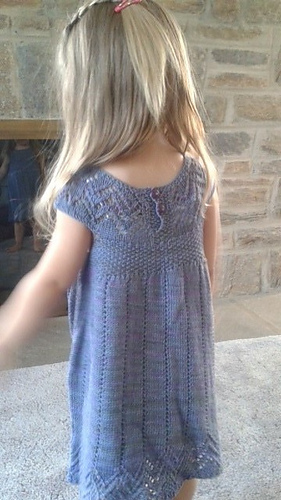 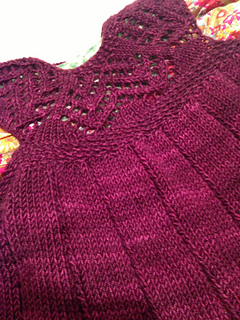 Top down design with a pretty lace pattern on the yoke and skirt. 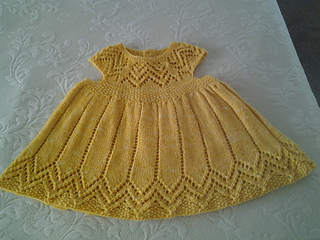 The yoke and the hem are charted and written out.